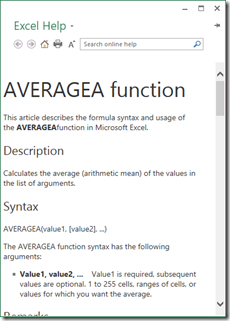 In a recent post, I was exploring Excel AverageIF and other Average functions and I realized that I don’t know that much about the AverageA Excel function. So I thought I would share how I quickly found out more about the function. I can’t remember where I learned this technique (perhaps Mr. Excel or Datapig), but anyway, this is a technique that you should also use when you see a function that you don’t know much about. Also, there is a bonus tip below and a very short video demonstration. 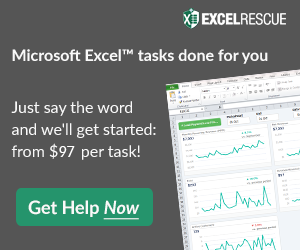 This will save you several clicks and retyping the function when trying to find help in Exce. 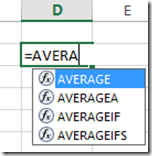 What other unique Tips and Tricks to you use regularly in Excel that are rarely known? Let me know in the comments below.